Does it feel like you are seeing a large increase in lawyer advertisement on television, and an increasing number of lawyer advertisement billboards on our roadways? The answer is that your eyes are not deceiving you, and there has been a large increase in such advertisements over the last few years. Did you know that only three years ago that lawyers were not allowed to advertise so blatantly? In 2015, the Florida Bar’s ethics advertising rule limiting “prior results” was struck down by a Federal Court as an infringement on First Amendment rights. 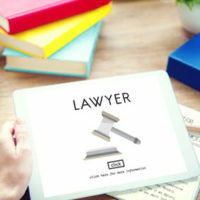 The prior rule limited lawyers from advertising prior results unless they were “objectively verifiable” and that it was clear that past results would have no bearing on a client’s prospective case. But what exactly does that mean? Before this 2015 Court ruling, lawyers were not allowed to showcase a “big win” or make statements about the dollar amount they obtained for their client without significant additional information. The Florida Bar had these rules, and still has other ethics advertising rules to protect the public from information that may be inaccurate or misleading. Today, some law firms push the boundaries by creating television and billboard ads stating case results with large dollar amounts, sometimes insinuating these are the typical y results they get for their clients. So what lessons are there for the public? First, do your homework. Your relationship with a lawyer could last a month, a year or even longer. Start by asking trusted friends, business acquaintances for recommendations. Make sure you do your research on a lawyer, don’t rely on a flashy ad or promises of “big money.” Meet with the lawyer (and maybe interview two lawyers, or more) after you do some research, and ask the tough questions, about their experience, including handling cases similar to yours. The attorney client relationship is based on trust and experience. You have to trust that the lawyer really has your best interests in mind, and that the lawyer has the experience to get the job done right. If that lawyer can’t provide the real answers to your questions, go meet with another lawyer. How your case works out can really affect your life, so take the time to make the best decision and hire the right lawyer. Gary S. Lesser is the Managing Partner of Lesser, Lesser, Landy & Smith, and he focuses on personal injury cases all over Florida. He is the former Florida Bar Advertising Chair and has served on the Florida Bar Board of Governors since 2011.